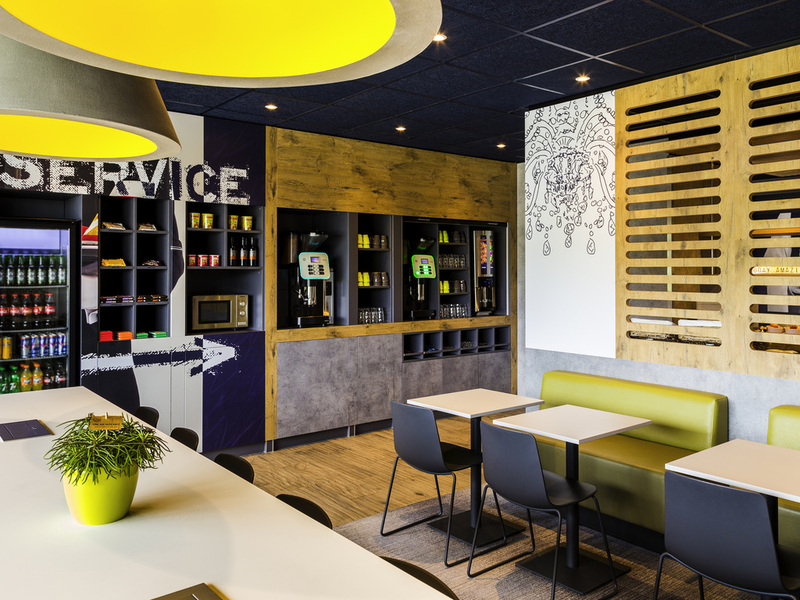 ibis budget Stein Maastricht is ideally located next to the Steinerbos and easy to reach via the A2 highway. Maastricht offers a wide variety of activities such as boat trips, historical and guided city tours or even a concert of André Rieu. The most popular museums are the Basilica of Our Lady and the Bonnefanten Museum. The most popular square of Maastricht is Vrijthof where you can find various picturesque cafés and restaurants. The experience was amazing I decided to visit maastricht with my girlfriend and book a hotel outside of maastricht to get soem res,t and had the staff of the hotel decorate the room, special thanks to Vincent and his team for arranging this She was pleasantly surprised, and i would like to thank the hotel staff for the excellent service, and as far im concerned, &quot;budget&quot; doesnt have to be in the name of the hotel with the level of service Vincent and his team provide! Kiran H.
Very kind and helpful staff. Overall great and comfortable experience. I am happy with my choice of accomodation. My stay was brief, only one night, but the conditions were more than appropriate. Hygine, one of the most important conditions for me when looking for hotel, was on a really high level. ibis budget Stein Maastricht does more than I expect from a &quot;budget&quot; hotel: their staff made us feel very welcome with personalized service. My room had all the required facilities and the breakfast tasted good. Our 2nd stay, and again a very positive experience. The reception staff are very welcoming, friendly and attentive. The room is basic but clean, with a very good bed and shower. Good selection of breakfast items and in vending machines. Good location close to motorways and opposite a park, ideal for dog walking. We will definitely use this budget hotel again. We enjoyed our stay at Ibis Budget Stein Maastricht. The staff are extremely friendly and helpful. The hotel is very clean and the rooms are Super comfy! Thanks to Hauke and Sharon who served me a nice Pizza when I arrived late in the hotel for my first time there. They are excellent. Wonderful, seems that all iBis Hotels are a great place to stay at the good price.